Life can be fun and exciting for a senior. You no longer have the obligations of work or raising a family to prevent you from getting involved in activities you enjoy. Now is the prime time to get out and enjoy life with activities that are designed just for people your age. It’s just as important for seniors to stay active as it when you are younger. In fact, it becomes even more essential to help delay symptoms of aging. Studies show that people begin to lose muscle as they age if they don’t work to maintain it. They may also lose flexibility and other health benefits of being active if they become sedentary. Thankfully there are various ways to stay active, which will fit people of various interests and levels. 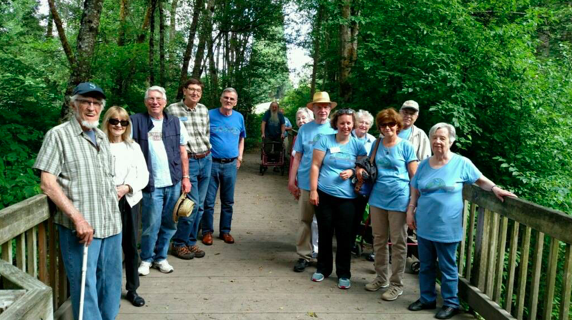 You can go for a walk to help maintain your mobility or try out different programs which are geared towards seniors. You may realize the importance of staying active and being fit, but you don’t know what is available or what you would like to do to achieve this goal. Check out the local gyms or sign up for a class at a local senior center or in a retirement community to try out something new. You never know when you might find something you enjoy. One good option for retirees of almost all fitness levels is walking. Plan a route that is challenging enough without being dangerous. Set a time or distance as your goal to keep you motivated. You can even go online to find apps that set up a route for you based on your location and goals. Another option is yoga. While some of the poses for this exercise program can be difficult and even dangerous for seniors to try, there are plenty of other poses that are perfect for all ages. Ideally, you can find a yoga program designed specifically for seniors that will take into account limited mobility or other health conditions. 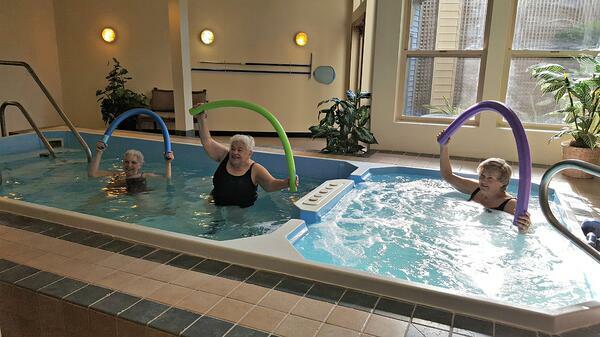 Water aerobics is one of the best exercise options for older people. It allows you to work out at a challenging pace without causing stress to your joints. The water provides buoyancy as you walk or do other exercises. You can also swim laps for a good exercise program for your lungs and heart. When looking into different exercise programs, you’ll want to consider the fitness level required and the age and health of other participants. That’s why it’s safer to choose a seniors-only program that won’t be too taxing or increase the risk of injury in the participants. Since it can be difficult to stay motivated with an exercise program, it’s also a good idea to find a fitness buddy. You can join a class together or schedule workouts or even just a walk for a time that is convenient to both of you. Even if you find a program designed just for retirees, you should still consult a doctor to make sure you are healthy enough to participate. Since you don’t have a restricted routine due to work or family obligations, you can get out and enjoy all of the local events that are available in Federal Way and nearby areas. From the state fair to concerts by your favorite artists, there is always something going on. You can even attend the local farmer’s market for a chance to meet new friends, visit with the vendors and bring home some delicious goodies. There are local festivals and plays you can attend. Many of these require a great deal of walking, so be prepared with a good pair of shoes. You can also find special events surrounding major holidays. For instance, there’s the Red, White and Blues Festival in Federal Way that includes live music and a lot more. You don’t have to stay at home to enjoy some retirement fun. You now have the free time to travel. Travel around the country or around the world. With a less restrictive schedule, you can plan a trip whenever you wish. If you want a short vacation out of town but nothing major, you’ll find all kinds of opportunities for nearby destinations. Visit Victoria, British Columbia to see a beautiful natural area that also offers interesting activities year-round. For instance, you can visit Buschart Gardens with its fabulous plant life. Book a stay in a bed and breakfast on the San Juan Islands or enjoy a festival in Leavenworth. 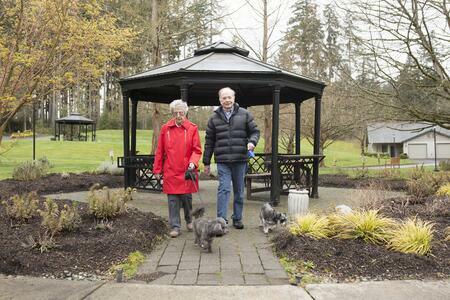 Vacations can be fun for retirees who don’t have to hurry back to specific responsibilities. However, they need to plan for any potential problems so they can enjoy the trip with no worries. If you lack ideas for a short vacation, consider the options available with the Village Green travel guide. Traveling alone as a senior can be uncomfortable, especially to an area where you’ve never been. It’s more fun and safer to travel as a group with people your own age. 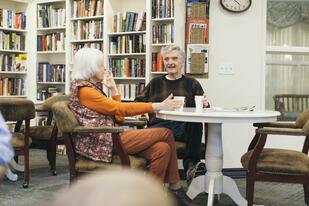 You will find all kinds of events you can attend with the local retirement community. Attend special music events or a book club. Go to a dance or on a van trip to an interesting location. You’ll have someone to talk to and you won’t worry if you should get tired or need assistance while you’re out. Don’t let age keep you at home. Even those with limited mobility can find activities they can attend. Enjoying your favorite activities in the Seattle area and beyond will keep you feeling young and interesting. Another good way to keep your brain and your body active is by getting involved in a hobby or craft. It may be something you used to enjoy doing before you had a family to care for. It could be something you always wanted to learn but never had the time. Well, now you do. Don’t be afraid to try something new or pick up an old interest. 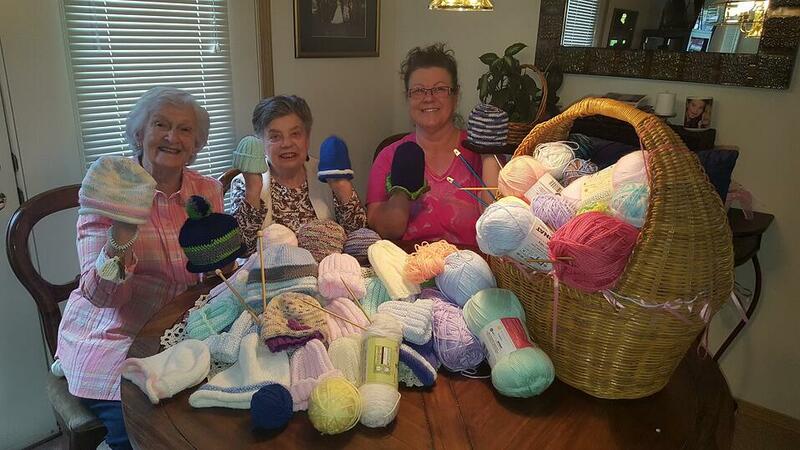 When you get involved in a hobby or craft, it allows you to make friends with people who have similar interests. You might join a book club with others who like to read or taking a cooking class with those who wanted to learn to fix a gourmet dish. When you learn a new skill or have to remember an old one, you use your brain in a different way. It helps keep your brain active and makes you more alert. As you can see from these lists, there are activities for just about anyone, regardless of your interest or ability. Many of them require little time commitment and some can be done on your own time. Others allow you to socialize with people your own age as well as those who are younger. Don’t let yourself become bored or stare at the television every day when there are so many things you can do. You never need to be afraid to try something new. If you happen to be skilled at one of these activities, you could even offer to teach others. It would be a fun way to feel useful and to pass your knowledge on to others who will enjoy the same activities. Remember back to the days when you were a young child and how much fun you had playing games. You may have excelled in hopscotch or jacks or beat everyone at checkers. Now that you are retired and have some free time on your hands, you can enjoy playing games once again. Playing games has many benefits. For one, you get to socialize with others near your age or even those younger than you. You both have something in common with the love of a certain game or playing games in general. It also helps keep your brain active just like with other hobbies. You may have to strategize or be able to answer questions or figure out your best move. Games put your mind to use much better than watching television and in a different way than reading. Here are some suggestions for fun games you can play or learn. 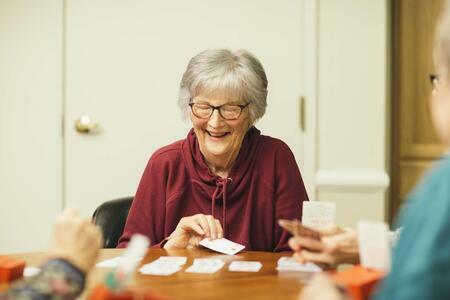 In almost any town and retirement community, you will find a regular Bingo game night. People have been playing this game for decades because it’s fun and easy. All you have to do is mark your card when someone calls out the right number. The first person to cover their numbers in a row wins. Some Bingo games call for you to cover the entire card, which makes the game last longer. Bridge is another game that has been around for a few generations. Many young couples played early last century when they had nothing else to do. Bridge requires four players which is ideal for a small group. This is a card game which involves bidding and winning suits. It is rather complex for the first-timer, but you work with a partner, making it easy to learn after a few tries. The game is good for working your brain as you try to out-strategize your opposing team. Pinochle is another card game which requires two to four players. You must put together different combinations to win points and beat the other players. Each suit has a different value, and everyone tries to score the most points. It only takes a few minutes to learn the game, but it provides hours of fun. One of the benefits of these games is that anyone can play them even if they have limited mobility. A person who is stuck inside because of health or weather can stay active and have fun with a few or many friends. You can even find games online that you can play alone to keep yourself active. When seniors stay active, they are healthier and happier. They enjoy a higher quality of life and often feel better physically and mentally. Being active helps counteract depression, which is often a problem with seniors, especially those who are unable to get out or see family. Make sure you or your loved one find ways to be active based on your interest and ability so you can enjoy this prime time of your life.